Nope I wanted to let you know how happy I was with the BBC coverage of recent research into Mande Barung, which is the Indian version of Yeti, Bigfoot, and Sasquatch. "In the US it's known as bigfoot, in Canada as sasquatch, in Brazil as mapinguary, in Australia as a yowie, in Indonesia as sajarang gigi and, most famously of all, in Nepal as a yeti. 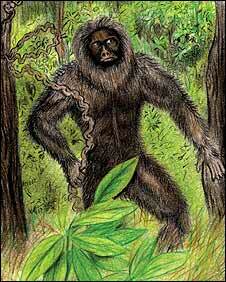 I was invited by passionate yeti believer Dipu Marak to travel throughout the area to hear for myself what he says is compelling evidence of the existence of a black and grey ape-like animal which stands about 3m (nearly 10ft) tall." The article also came with a series of photos, including this one, which I found absolutely fascinating! 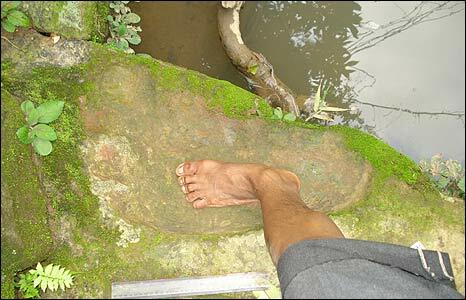 Now THAT is one "Big Foot" LOL! As stated already above, how refreshing is it to see this topic taken seriously, and not tabloid-esque for a change. Way-to-go BBC!